Vintage sewing and fashion ephemera with a few other finds from my travels. 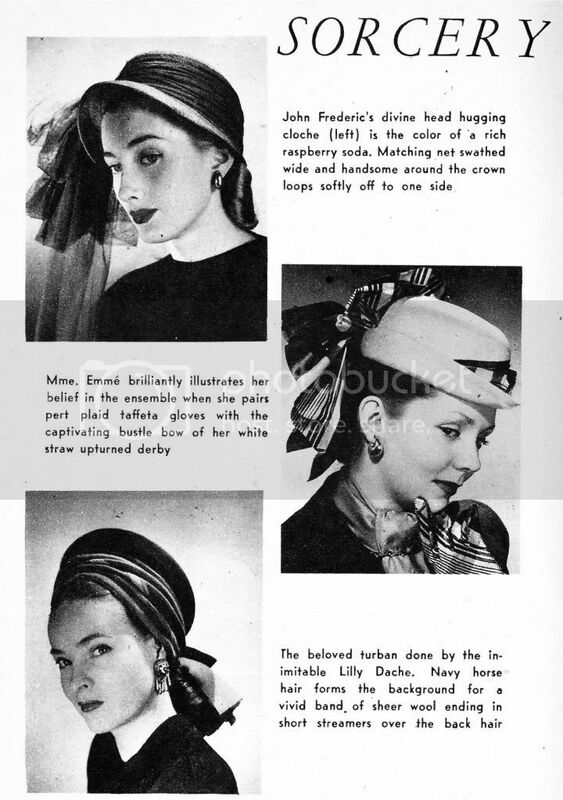 So many hats...all from this 1947 She Magazine. Make no mistake these are American women wearing American designers. 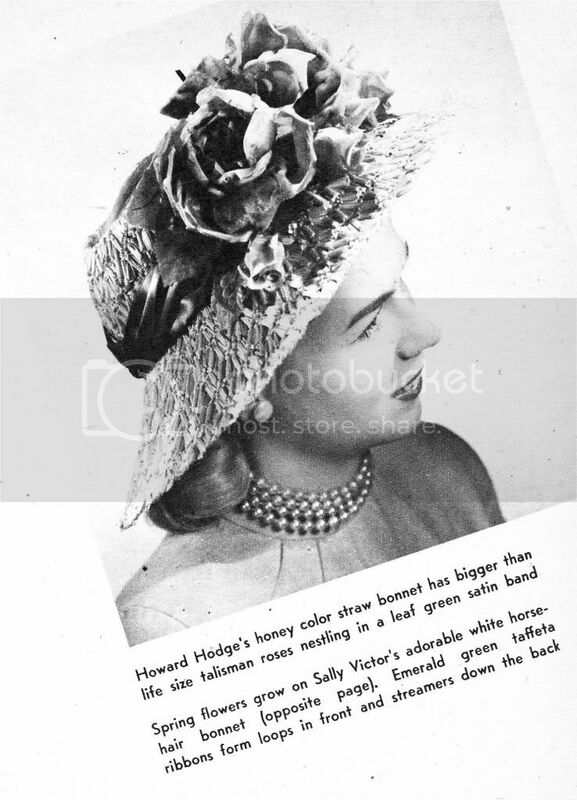 "The styles on the following pages, all whipped up on this side of the Atlantic, clearly prove that American designers cook up as delectable concoctions as the Paris milliners." 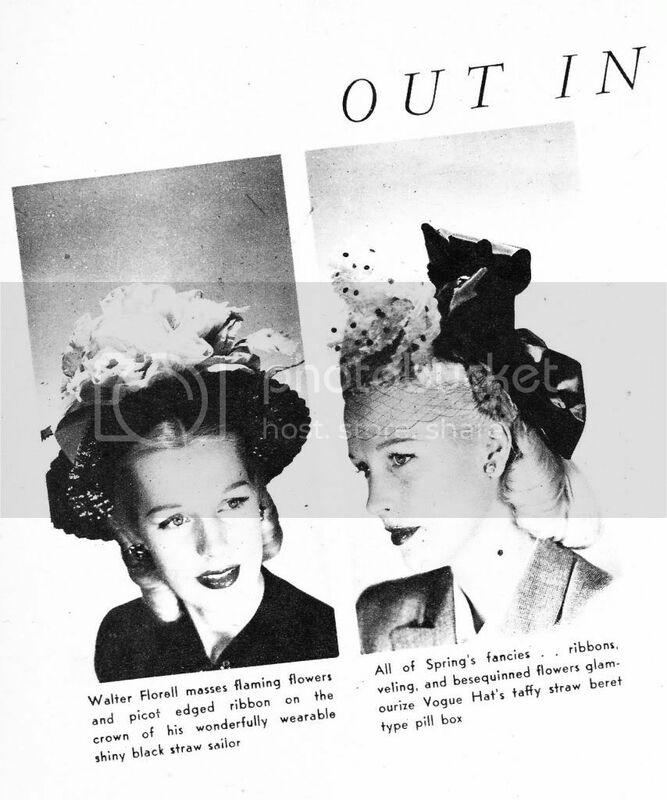 "Spring advocates more hat and less foolish-ness." 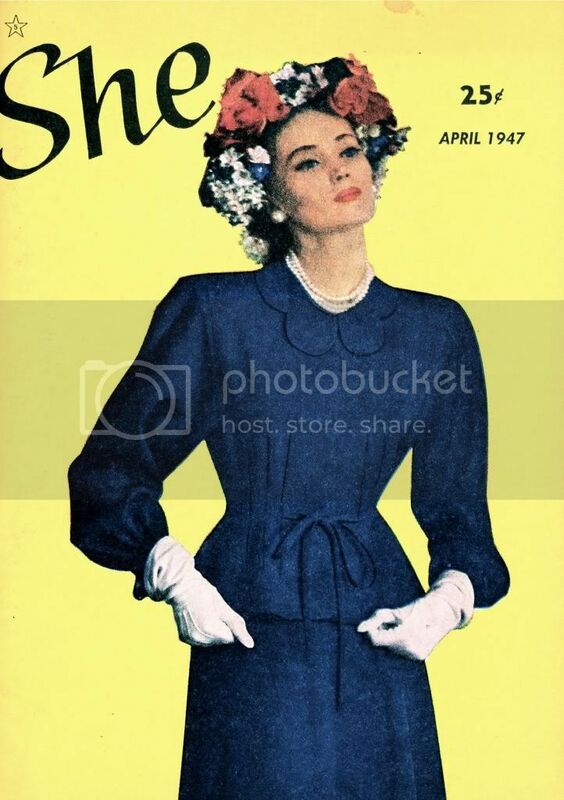 "Cover Story - Synonymous with Easter...the soft navy suit illustrated on cover. Tenderly tailored to emphasize the feminine curves of your figure, it is collared with demure scallops. A Swansdown suit about $50. 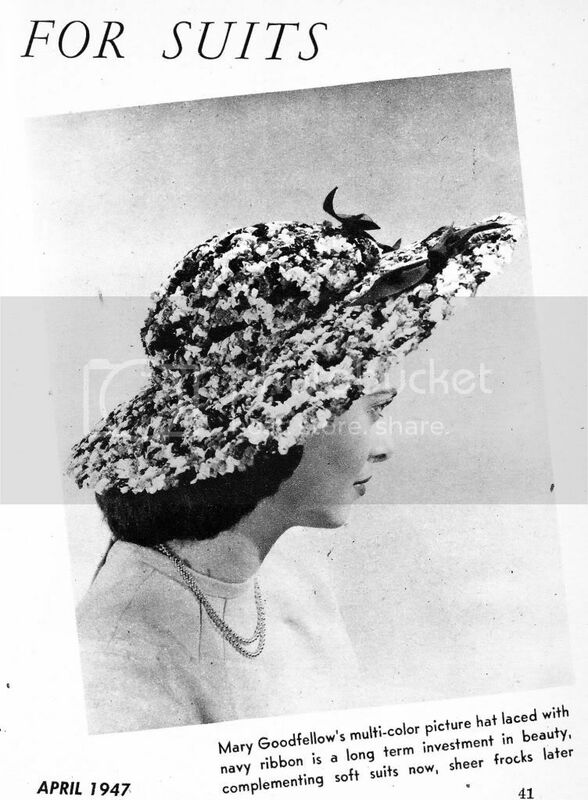 B. Altman"
"THE styles on the following pages, all whipped up on this side of the Atlantic, clearly prove that American designers cook up as delectable concoctions as the Paris milliners. They are pretty as American women are pretty. Their clean cut lines, their high style fit in with the good looking American designed clothes that American women wear. They are expensive, but we have selected them because they represent the artistry of some of our finest designers. They are trends. 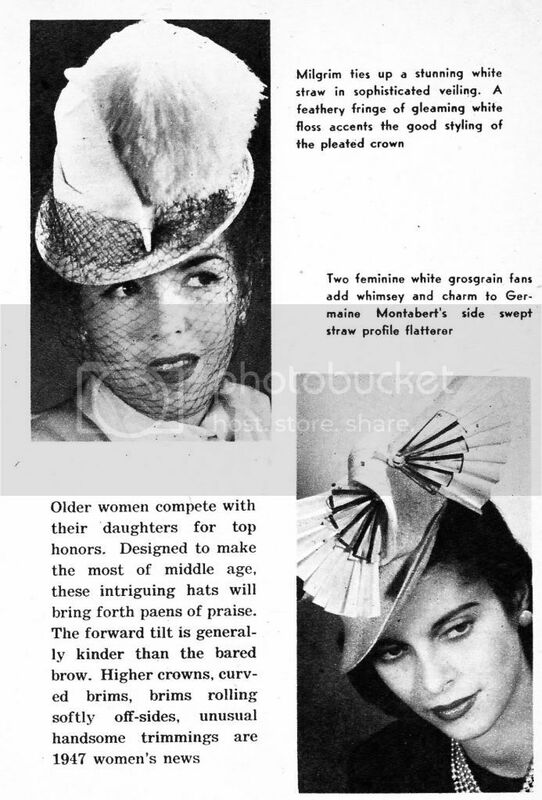 The Spring breezes will also blow on less extravagant models. Spring advocates more hat and less foolishness. Off the face models have been accepted, applauded and adapted in all price ranges. 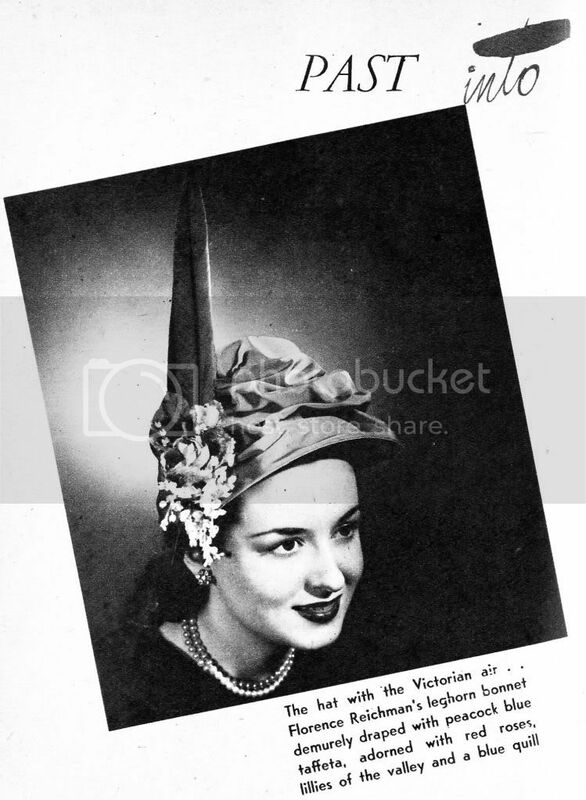 Brimmed hats sit firmly back on the head. Not even the swoop down on the eye types lose face. There is a great deal of action behind the back of the head ... making exits as entrancing as entrances. The overstuffed look of winter has given way to straight adorned prettiness. Crisp ribbons are used by the yard in an unbelievable range of color . . . plus plaids, stripes and novelties. Flowers spring up in profusion. 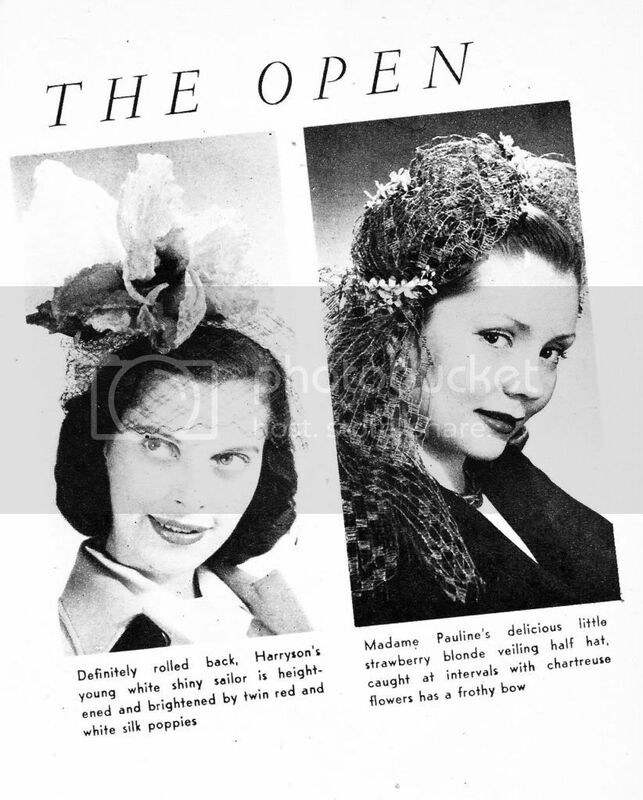 Veiling, maline and net come in for rapt attention." I'm related to Florence Reichman! 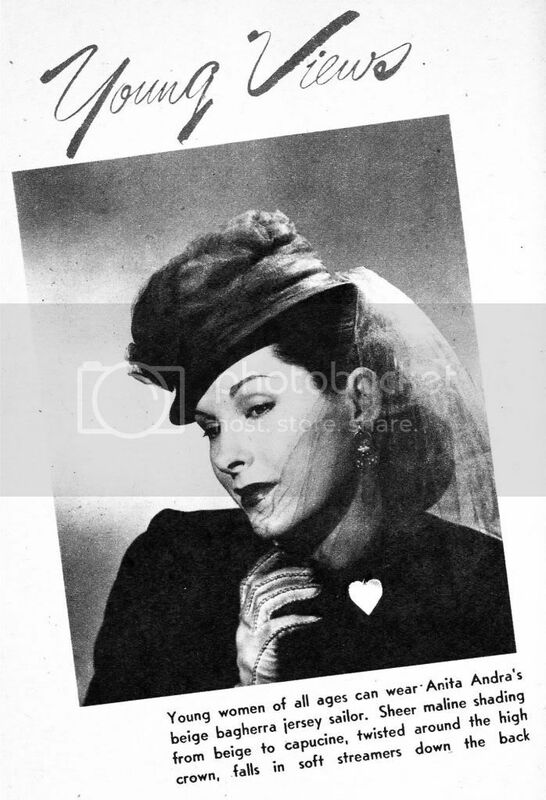 I'm dying to own one of her hats some day! Welcome! 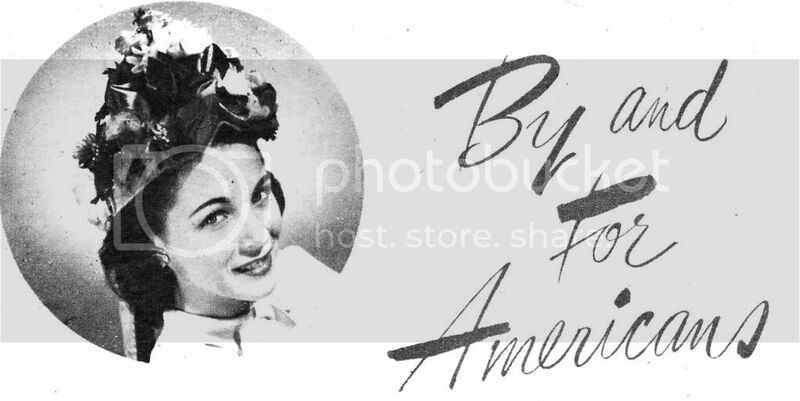 I have this blog to share the treasures I find related to vintage sewing, and vintage fashion with occasional detours into whatever crosses my path. Everything I post is from some actual item I found. If you'd like to buy something you see contact me. I sell sewing patterns for a living, you'll see the link below. Come on by! 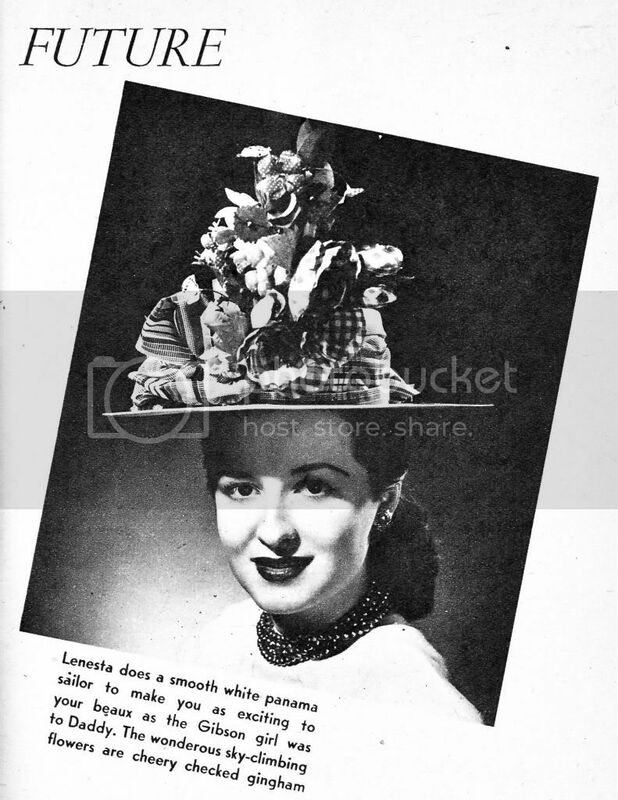 I sell Vintage Sewing Patterns! Come visit my site, you'll like it there. I have wonderful Followers. Come see their wonderful sites. Are You Neglecting Your Most Important Feature? Huaraches - The Sandals That Made Mexico Famous.